We adore pancakes in our house and eat them all year round – no waiting for Shrove Tuesday to come around here! But since it is that time of year with Pancake Day coming up on Tuesday 17 February, it seemed like a jolly good excuse to have all things pancakey as our theme for the Family Foodies challenge. So, how do you eat yours? Sweet or savoury? Healthy or naughty? Thin crepes with lemon and sugar? Fat, fluffy American pancakes with bacon, smothered in syrup? Asian-style banana pancakes as devoured by backpackers? Chinese pancakes filled with lotus paste? Indian dosa stuffed with spicy lentils, pickles and chutneys? Or maybe Russian blini with smoked salmon or even caviar is more your thing? 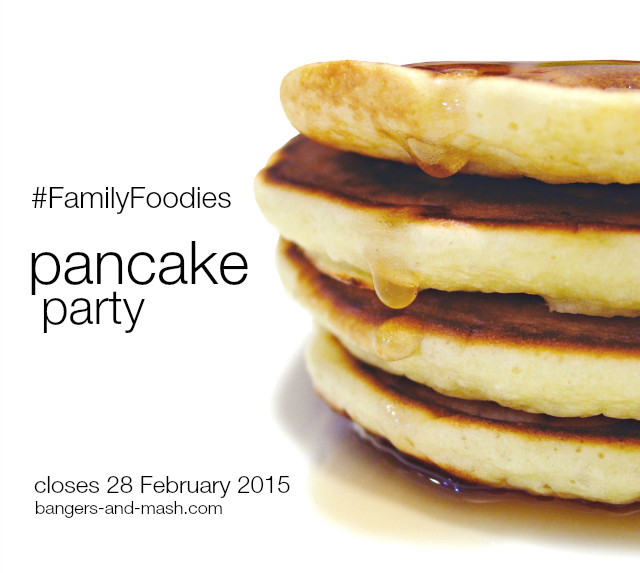 However you do pancakes in your house, we want you to share your recipes in this month’s Family Foodies. And, as ever, the more family-friendly they are the better. Link up your entries by Saturday 28 February 2015. I’m preparing to salivate! You may submit any recipe on your blog that fits this month’s theme, new or from the archive, although there is a limit of three entries per blogger. You’re also welcome to submit the post to other challenges too. If the recipe is not your own, please give the appropriate credit. Send your recipe URL to me at bangermashchat-at-gmail-dot-com, including your own email address and the title of your recipe or post. The closing date this month is Saturday 28 February 2015. 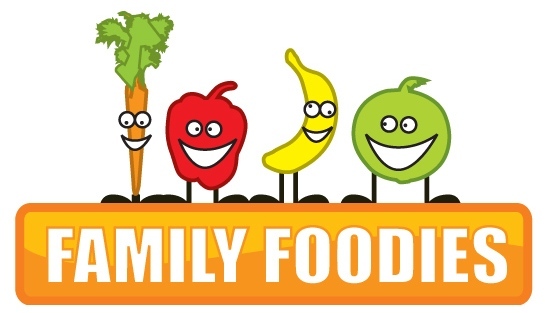 Display the Family Foodies badge (below) on your recipe post, with a link back to both Eat Your Veg and Bangers & Mash, as well as details of this month’s challenge. If you’re on Twitter, then please tweet your post to myself @BangerMashChat and Lou @Eat_Your_Veg and include the hashtag #FamilyFoodies. We’ll retweet all that we see. You may enter from anywhere in the blogosphere, but prizes can only be posted to UK addresses. At the end of the month a guest judge will choose a winning recipe. The winner will be announced in a monthly round-up of all the entries. Winners will get to display a Family Foodie Winner annotated badge on their blog if they wish and their recipe will go through to the Family Foodies Hall of Fame on each of our sites. All entries will be added to the Family Foodies Pinterest Group Board. I hope to join in this month, just hope I don’t forget. Great theme for this month, I hope to join in.